Dune, Frank Herbert’s epic science fiction novel loaded with Islamic etymology, centres on a power struggle to control 'the spice' - an enduring ecological metaphor that still resonates today. 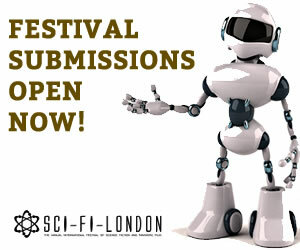 What fresh insights are emerging from hybrid perspectives of Sci-Fi and who are amongst the prescient voices to watch? An exciting panel discussion, curated by Sindbad Sci-Fi and being staged in partnership with MFest, the UK's inaugural annual arts festival of Muslim cultures and ideas, aims to boldly venture to explore new frontiers in science fiction. From exhilarating cosmic conquests and intergalactic rescue missions to speculating on the environmental crisis of civilisation and survival beyond post-oil futures. Award-winning journalist and commentator, Faisal Al Yafai, will chair a stellar panel of creative visionaries, equipped with an ecological focus, who will showcase their parallel worlds and alternate futures in film and SF literature. • Nafeez Ahmed, a best-selling British investigative reporter, international security analyst and author of Zero Point, a political science-fiction thriller featuring mass riots, blackouts, financial meltdown and a new oil war in Iraq to keep the world economy afloat. • Soren Lind, scriptwriter and co-director, will present a UK debut of the plot for In Vitro, a forthcoming CGI post-apocalyptic dystopia set in Bethlehem, co-directed with Palestinian filmmaker and artist Larissa Sansour. • Beaming up to join the panel from the United Arab Emirates is Noura Al- Noman, acclaimed author of the Ajwan space saga – a Young Adult book series causing a sensation in the Arabic speaking world. • Panel luminaries also include Naomi Foyle, author of The Gaia Chronicles, an eco-science fantasy quartet set in a post-fossil fuel Mesopotamia. The event takes place at The British Library, 96 Euston Road, London, NW1 2DB at 2 pm on Saturday 28th April 2018 and costs just £5.00 or £3 for concessions.